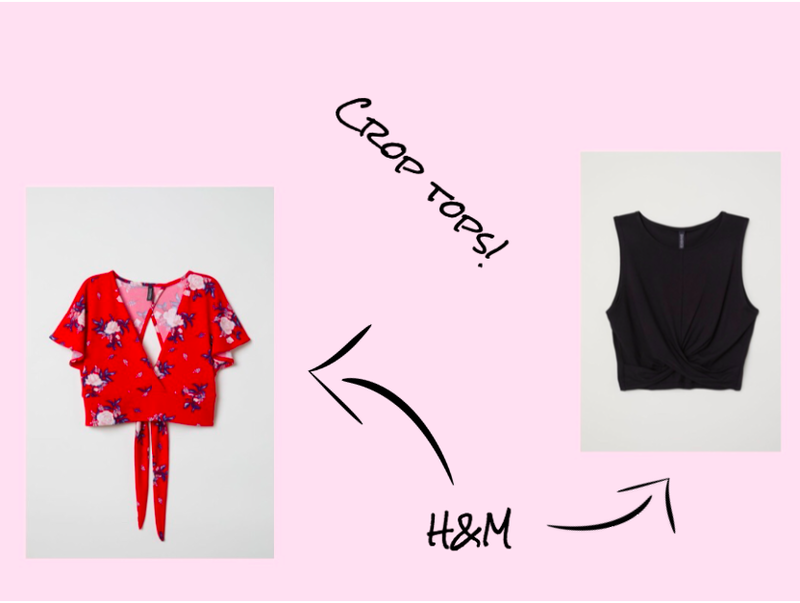 I am really not over the crop top trend so I wanted to find a few that were interchangeable in casual and fancier occasions. The red one that ties in the back was perfect for my boyfriend's birthday party, paired with a simple pair of black high waisted jeans. The entire outfit was overall very simple but still made a statement. While that one was meant for dressier occasions, I bought the black one with criss-cross detailing for more casual looks, possibly to be paired with my men's Levis and sneakers or Birkenstocks. I just wanted to add a bit more versatility into my style while also keeping things somewhat trendy. I also wanted to add a few new bits of jewelry to my collection so I opted for a simple two-piece gold necklace that goes with pretty much anything I wear and a set of gold rings. They tend liven up an otherwise simple outfit without having to put too much effort in to coordination. 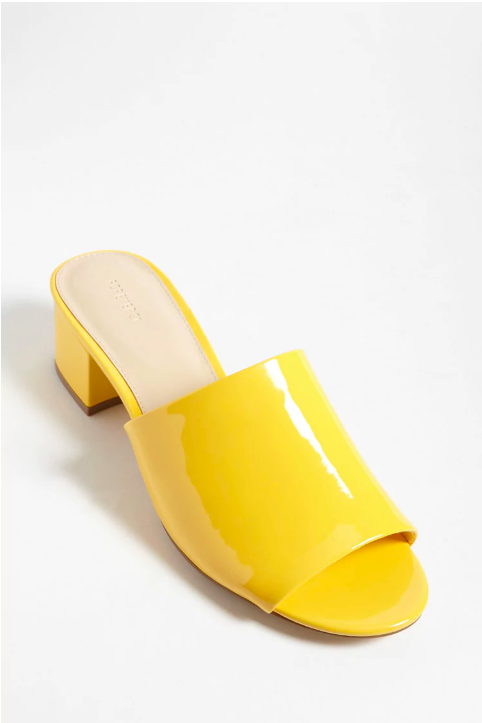 And finally I took a trip to Forever 21 and picked up another long sleeved crop top and mules, both in mustard yellow. I've been really loving the mustard yellow trend lately because it's helped me get out of my comfort zone with colours that I wear. I don't think I own any colourful shoes so I wanted to have at least one pair that's fairly interesting and fun. I always have trouble with finding comfortable shoes, but the reviews on these ones said they were incredibly soft and easy to wear, which is primarily why I opted to buy them. I need shoes that I can wear every day if I have to until they are no longer functioning or else I won't buy them. That's why I've owned the same shoes for years and all in black. I'm hoping to add a few more new pieces here and there in the coming months, but nothing too drastic or overwhelming.